These are special cells in the body that can turn into other types of cells. During the healing process, regenerative cells are called to the area of the body that needs repair. Factors in the area influence the regenerative cells to become repair cells. Interestingly, the same regenerative cells that repair bone can also repair muscle, tendon, ligament, or cartilage. Of all of the types of cells, regenerative cells have the greatest potential to promote healing. Regenerative cells are undifferentiated cells found in bone marrow that have the capacity to become bone, muscle, cartilage, ligament and tendon cells. Upon arrival to the injured tissue, regenerative cells take on the characteristics of that host tissue. This naturally occurring process is the body’s way of initiating the healing cascade. 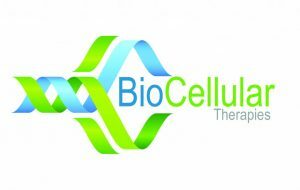 Because of the dramatic healing capabilities of regenerative cells, BioCellular Therapies has developed concise research and methods that will deliver an increased number of these cells, millions versus thousands, to injured tissue, thereby enhancing the healing process.